Food. We all need it. Back home food was generally something we ate three squares a day. 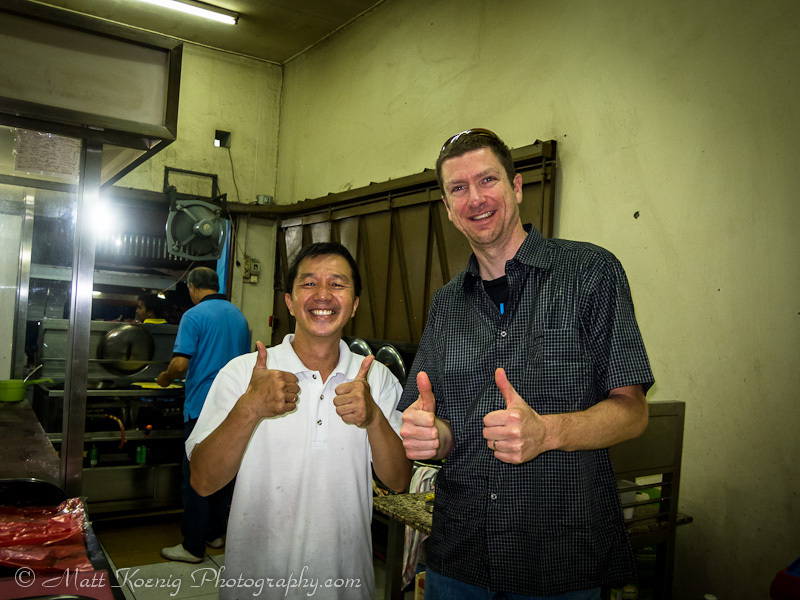 Here in Indonesia on our sabbatical food has been an experience. We’ve been eating very well since arriving, trying new things and just experiencing the whole food culture. I was first introduced to martabak back in 2001 during my first trip to Indonesia. I was hooked with that first bite. It’s like crack cocaine in pancake form. In 2005 I took this photo of Toko Nikmat Andir in Bandung Indonesia which is my families favorite place to scratch that martabak itch. It was great to go back after 7 years and see the same guy working the martabak pans and assembling them with such skill and grace. Nikmat Andir martabak manis adalah enak sekali!! If you are not familiar with martabak it’s basically a stuffed sweet pancake. 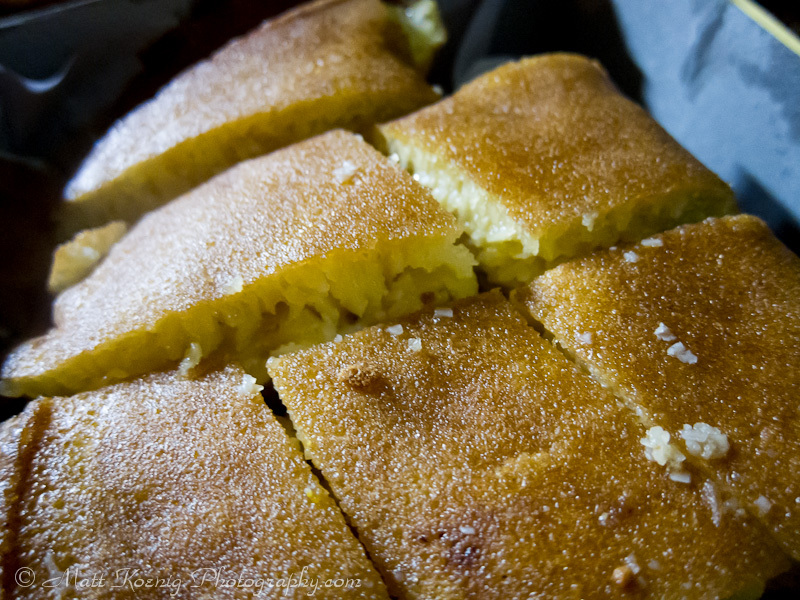 There is also a savory martabak but this post is all about the sweet version or martabak manis. You can order your martabak with any number of different fillings such as banana (pisang), corn (jagung), durian, jack fruit, plum, cherry and even corned beef. My favorite is corn, banana and cheese. You are looking at perfection. The pancake is made from a special batter and cooked in special cast iron pans. The secret is in both the batter recipe and the pans themselves. Once the pancake is cooked it is layered with your toppings. For my favorite the corn and banana are cooked into the pancake. Then butter is liberally added to the cooked pancake followed by a healthy dose of shredded cheese. Then it’s all topped with sweet condensed milk. The martabak is then folded in half and cut in half and then folded again and cut into bite size pieces and placed in a box to go. It’s a taste of pure heaven. So what does it taste like? It’s hard to describe but with my favorite of banana, corn and cheese it’s like a soft moist pancake with hints of cheese and that sweetness of canned corn. It practically melts in your mouth. I just noticed on the box that they have a buy 10 get 1 free promotion. At this rate it won’t be long at all before I get a free martabak. If you are traveling to Indonesia stop in at Nikmat Andir in Bandung for the best martabak manis. 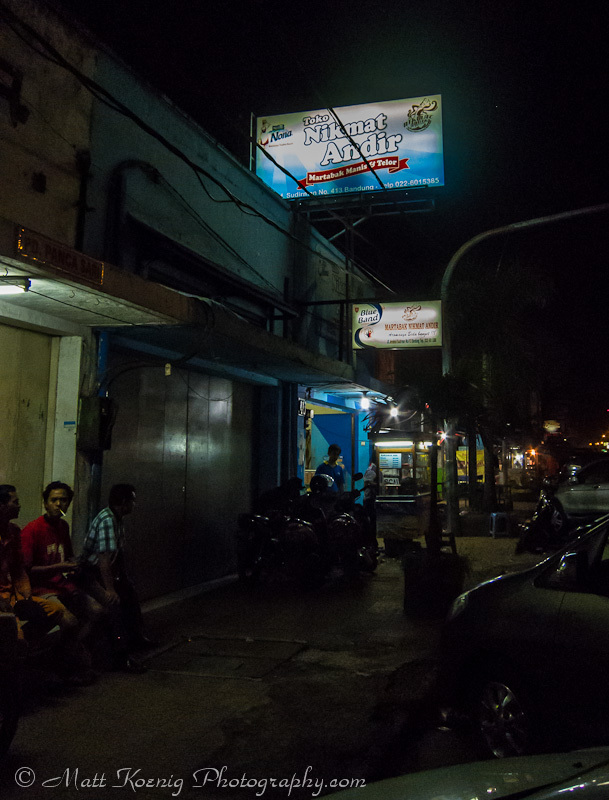 They are located at JL. Jenderal Sudirman No. 413 Bandung. 022.601.5386. You will not be disappointed. Selamat makan! Haha!! It tasted felt right at the time. 🙂 We are definitely eating well and surprisingly more healthy. The availability of fresh fruits and vegetables makes it much easier especially when you can buy most things right at your doorstep. Hey Matt.. martabak looks like a delicious special treat but not so sure that consuming butter, cheese and sweetened condensed milk qualifies as eating more healthfully, especially if it’s filled with meat! Anyways, fascinating video watching it being prepared. And glad to see you’re learning more Indonesian! Be well! Haha!! Yeah, hopefully I wasn’t implying this was a healthy food choice. Tasty? Yes! Healthy? No. It’s hard to resist this sweet buttery melt in your mouth treat though. Agreed Matt! Anything that has butter and sweetened condensed milk has just got to be delicious! Essayist Charles Finn once wrote “each day is like a grain of sand in an hourglass that once turned over can never be turned back….that the trick, if there is one, is not to let a single grain go by unnoticed.” You seem to have mastered that “trick” with your day by day living in Indonesia so far! It’s a pleasure reading about all your diverse cultural experiences. Keep on bloggin’! That and whatever the secret recipe is for the pancake. It’s very different than any pancake you could imagine. We are certainly trying to make the most of our time here.